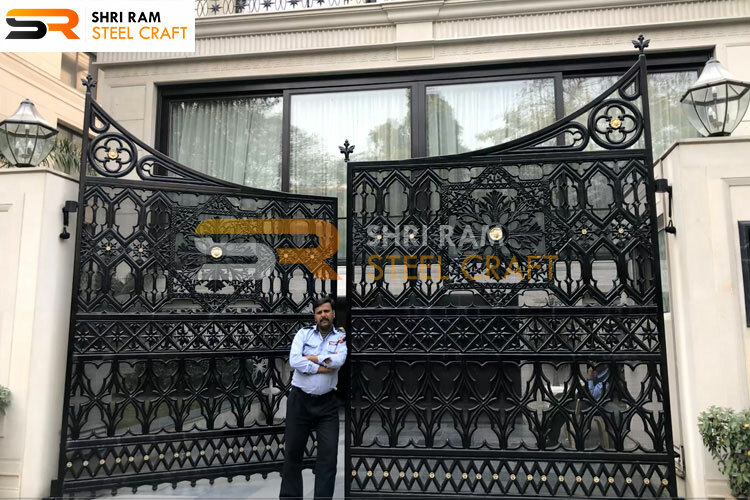 Our wrought iron gates are made in such a way that first they are heated then pressed by our expert team using hammering process .The iron become so solid that it lasts for long years .As these are the gates made with the wrought iron there are maintenance free. 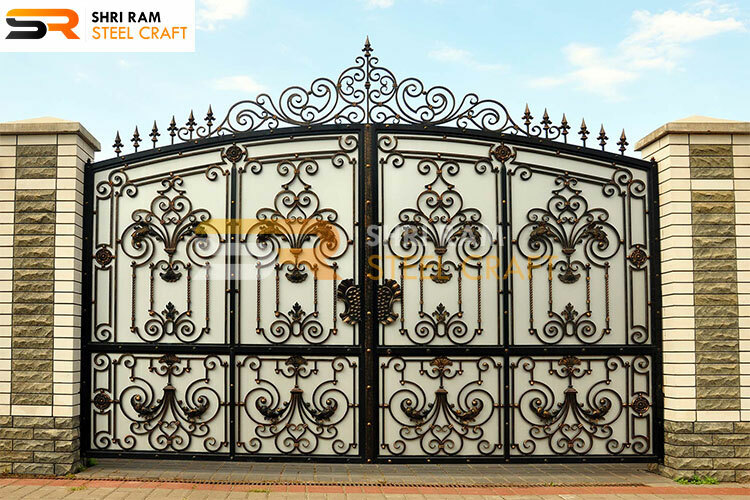 Have a look at our wrought iron gate designs, you will find that the well-crafted and well designed There are hundreds of designs which are meticulously crafted just for your tastes without a burden on your pocket. 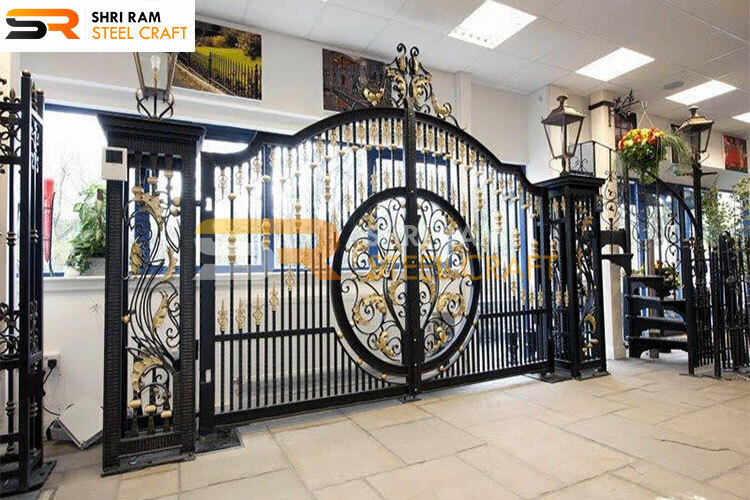 As we all know very well Main Gate provides an element of safety and unmatched aesthetic appeal to any home. 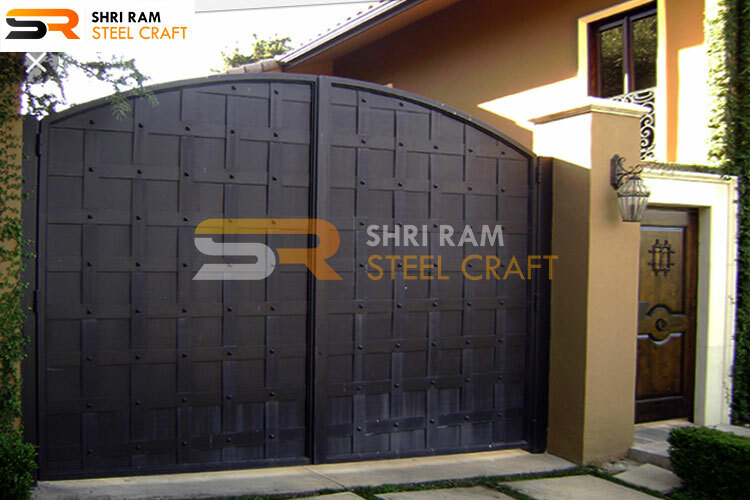 In spite of the fact that they are typically the last thought of an addition to your home, they can add class to the structure. 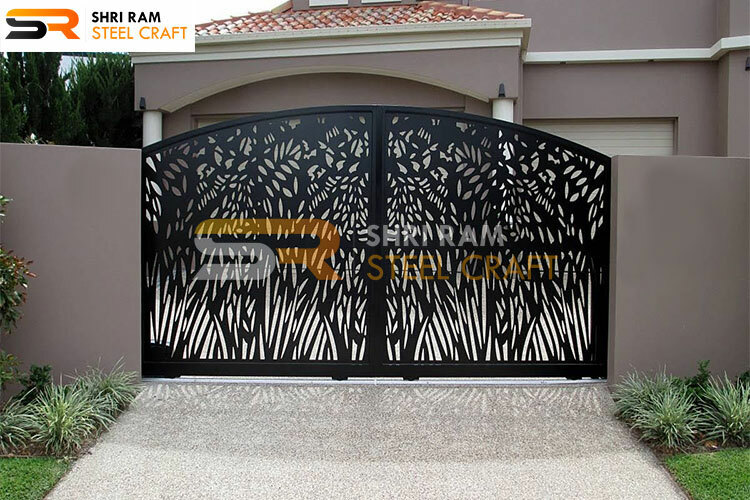 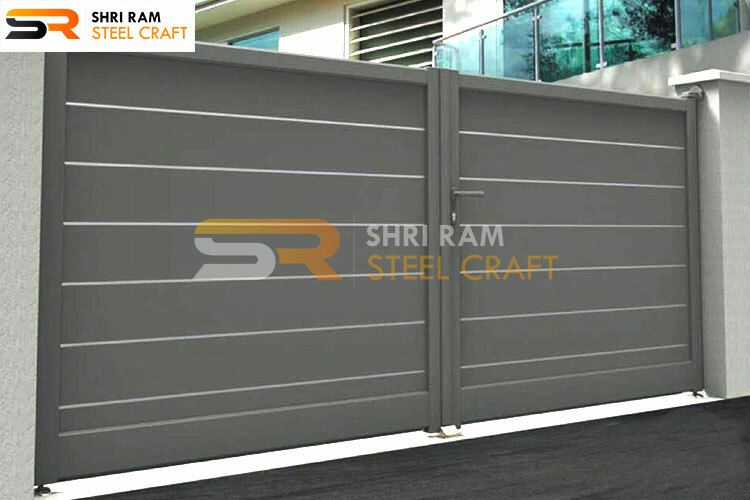 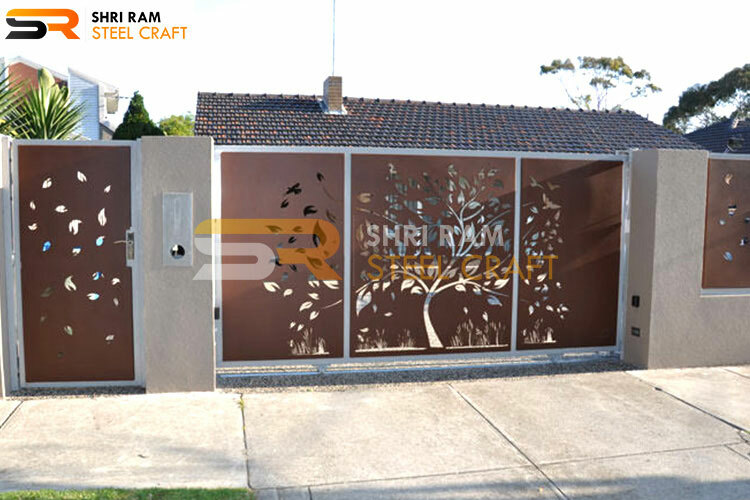 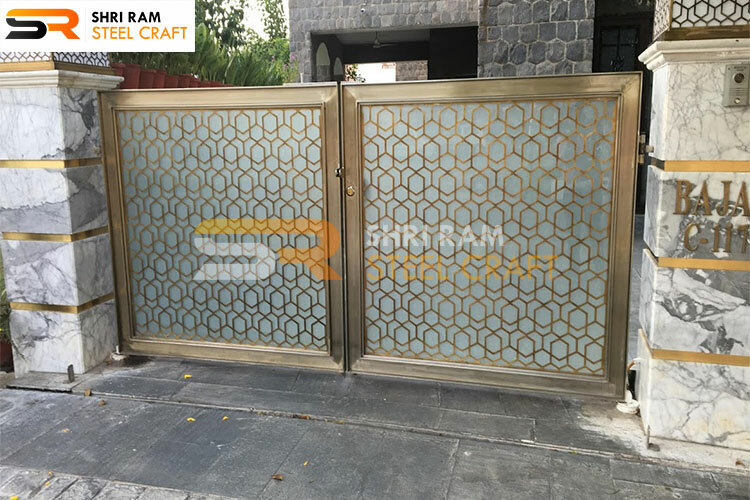 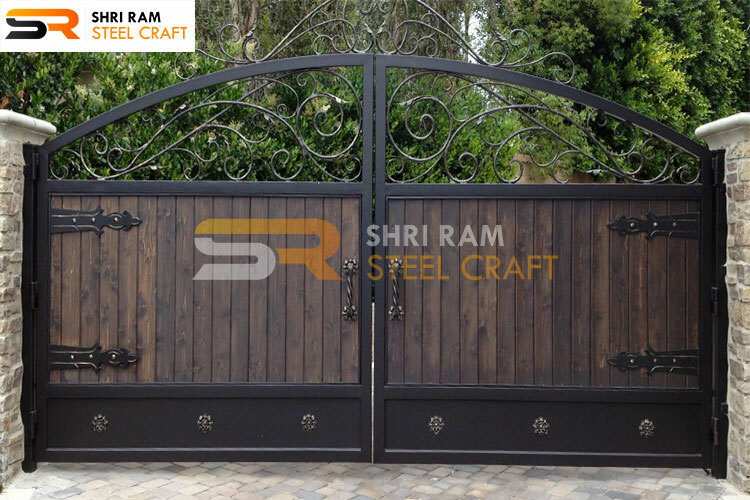 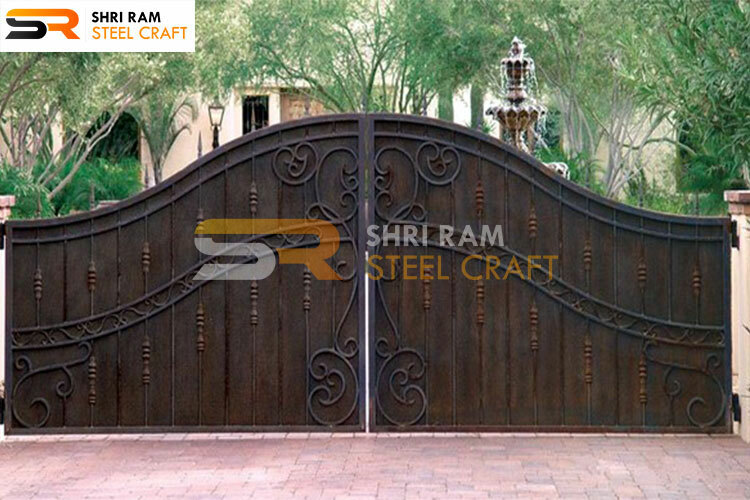 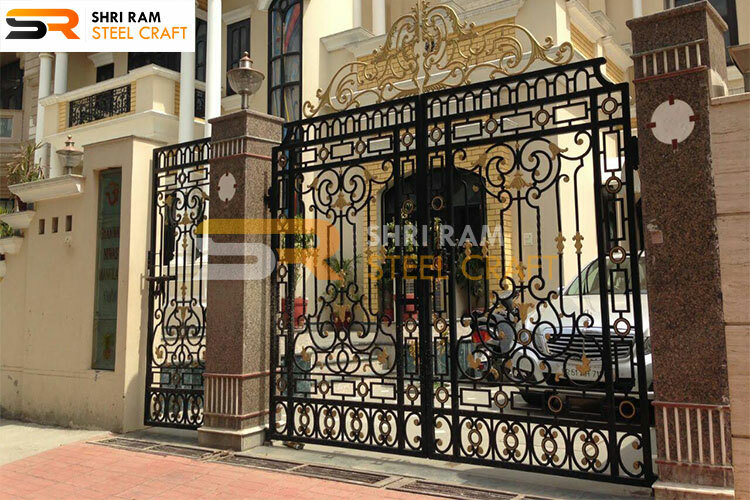 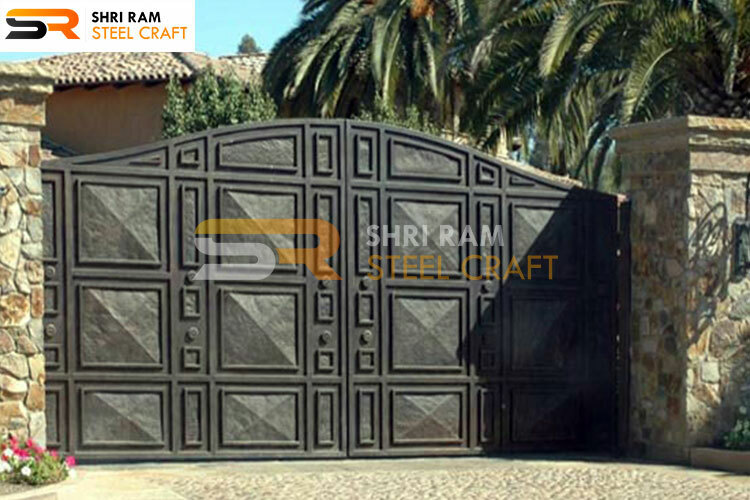 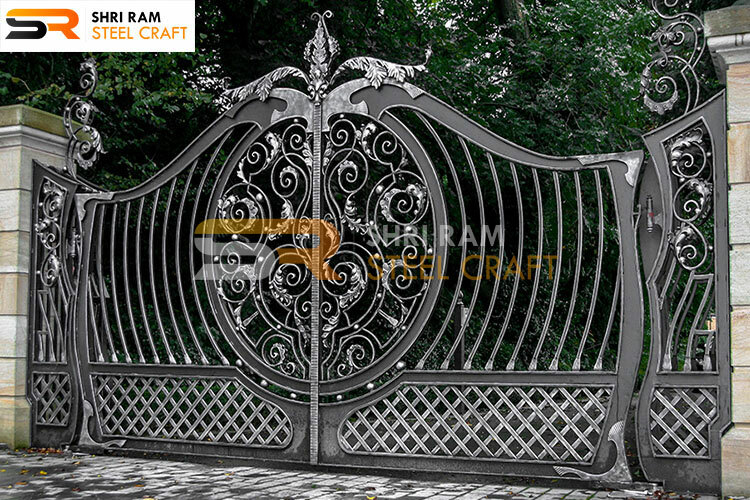 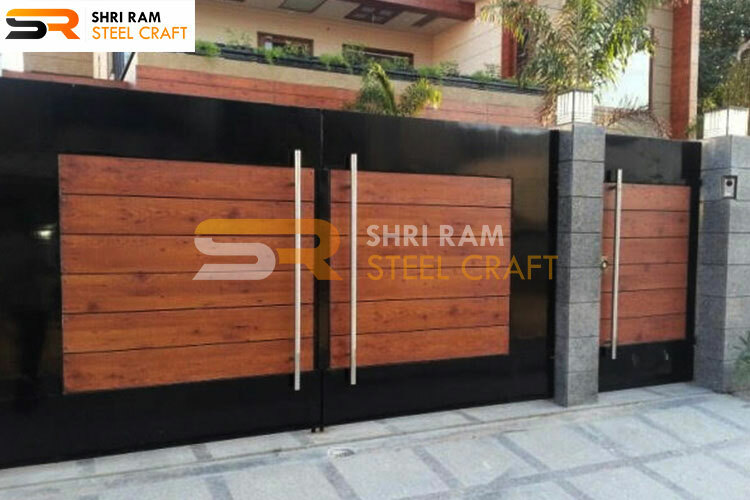 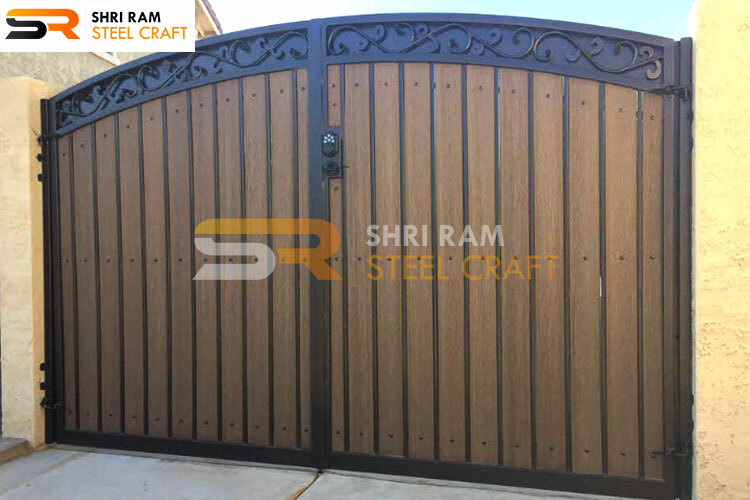 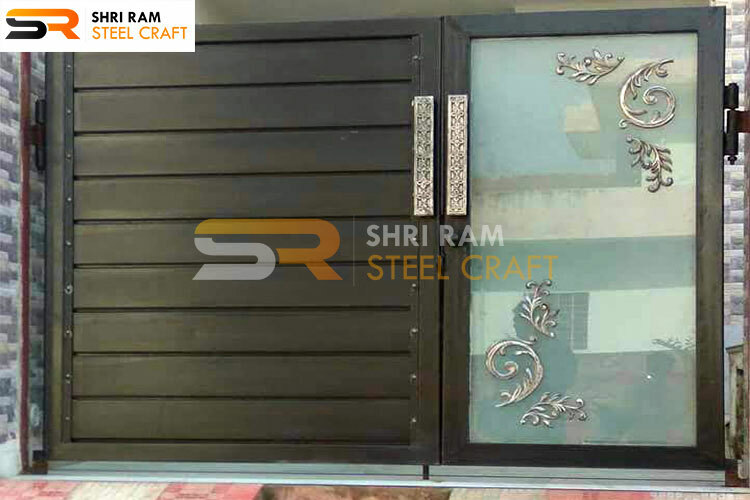 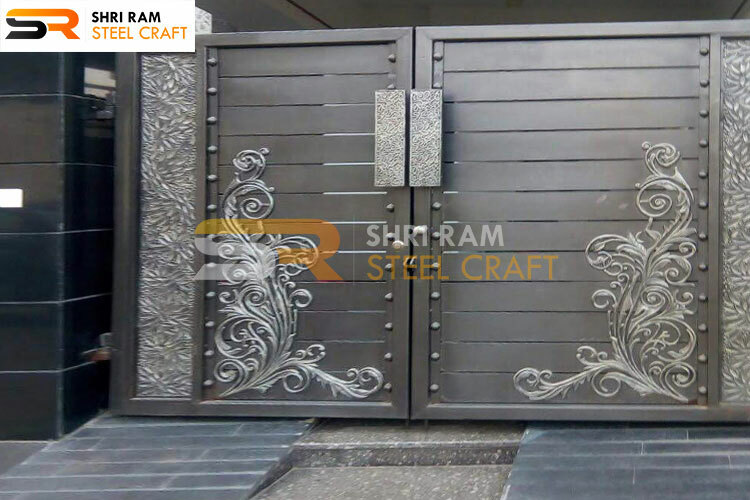 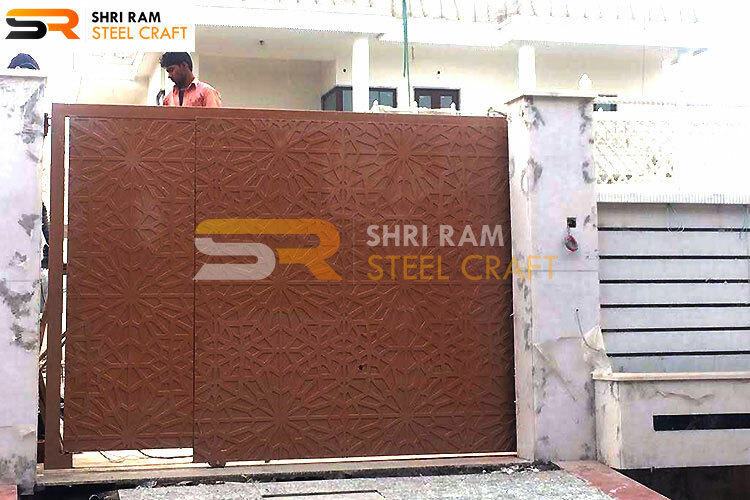 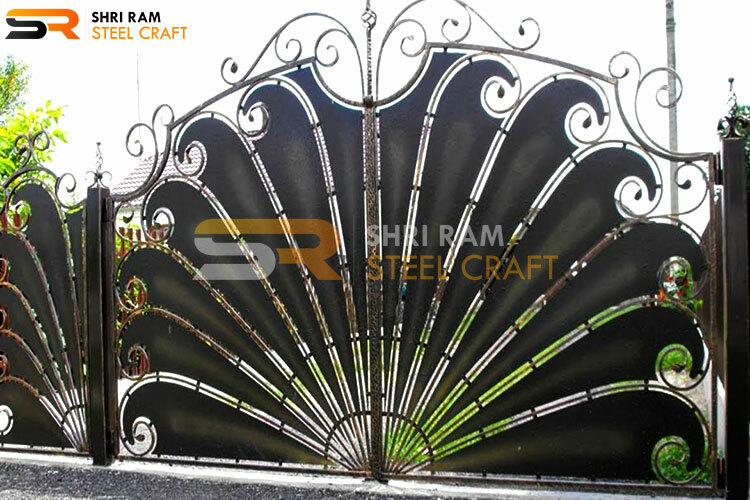 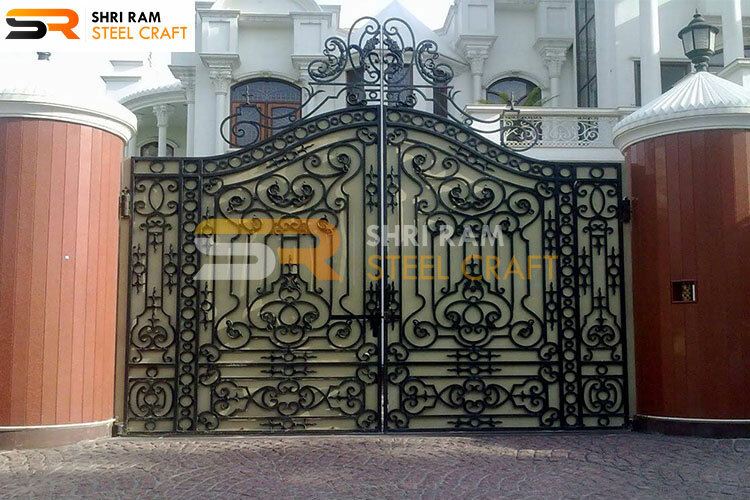 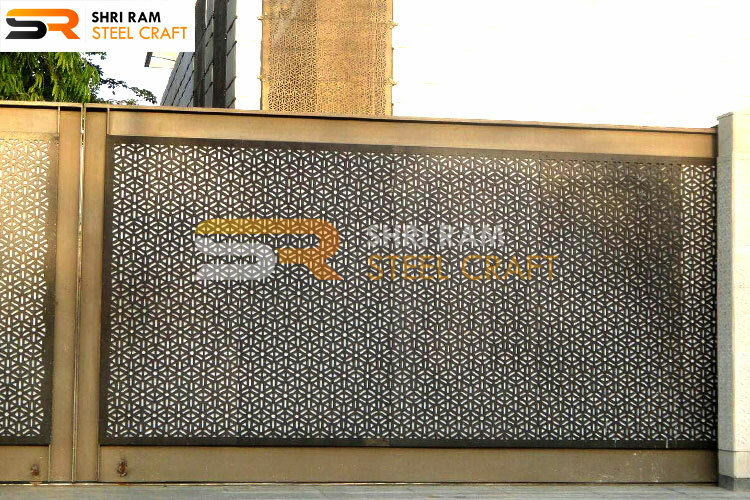 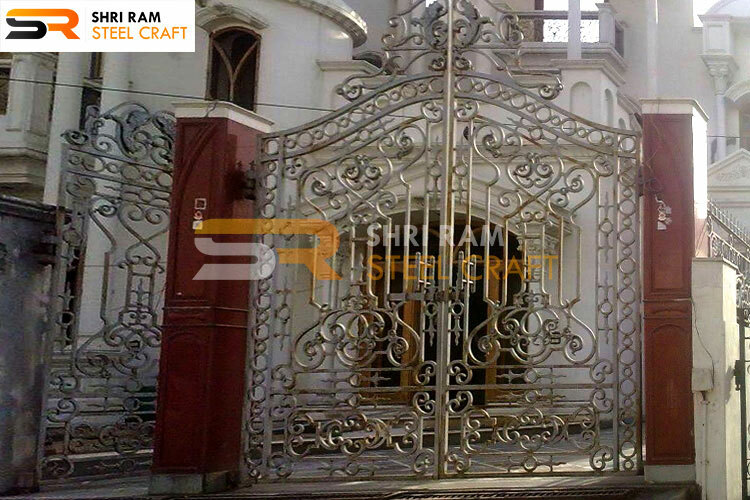 Shri Ram Steel Craft is here to be your custom wrought iron main gate specialists. 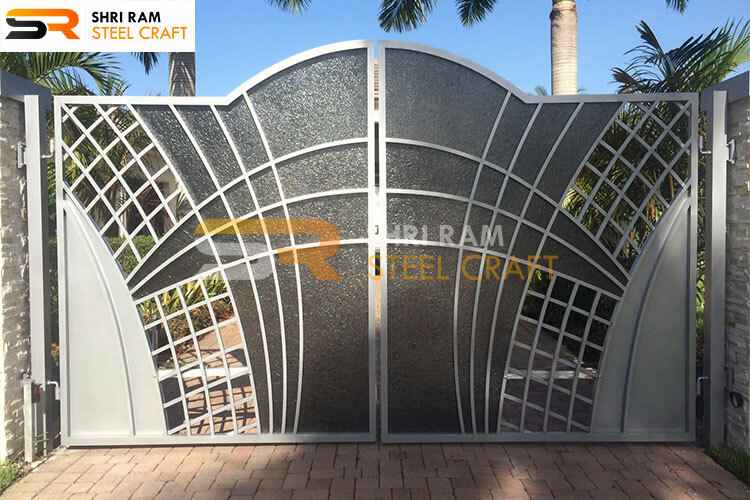 Providing over 25 years of experience in this manufacturing field, we have set the bar for quality, toughness and moderateness. 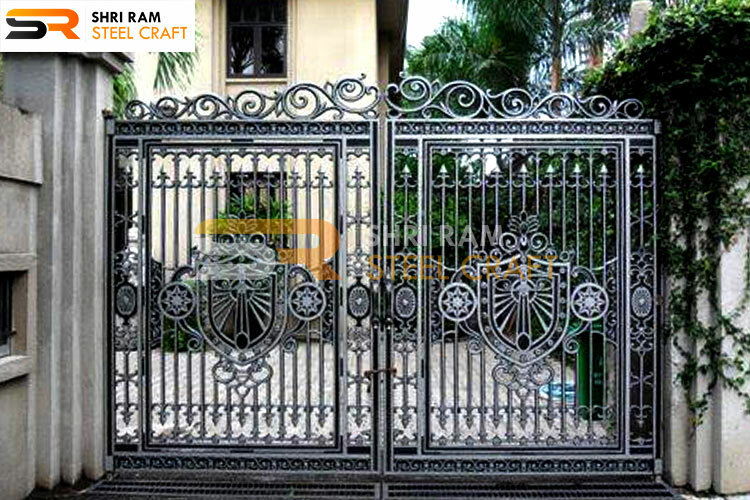 Our team of expert has designed the best wrought iron main gate in a variety of styles. 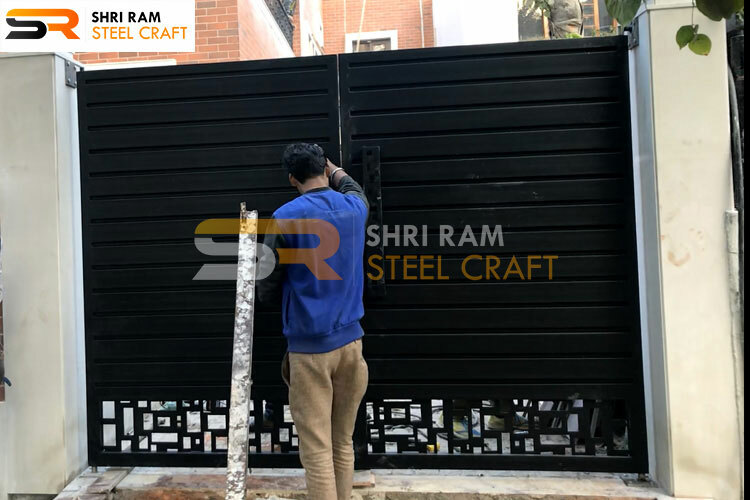 We are an organization on your side, determined to build your trust as well as the individual touches on a home or business.The quality product which we are offering is at very competitive rates. 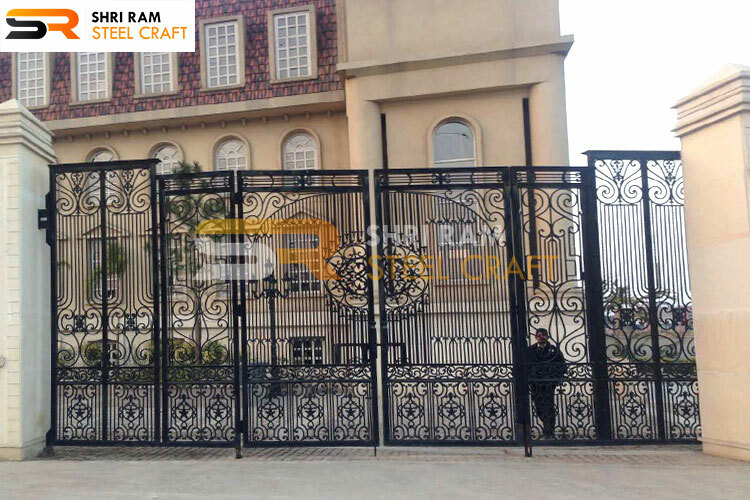 The wrought iron gates may it be a sliding gate, swing gate types paired with the pedestrian gate or driveway gates, we have the safety of yours in our mind always .We take care of the height and thickness of the installed gate.